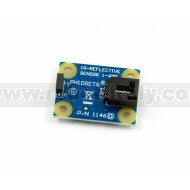 The 1146 IR Reflective Sensor uses an infra-red LED and a phototransistor to measure the distance of an object between 1mm and 4mm away. 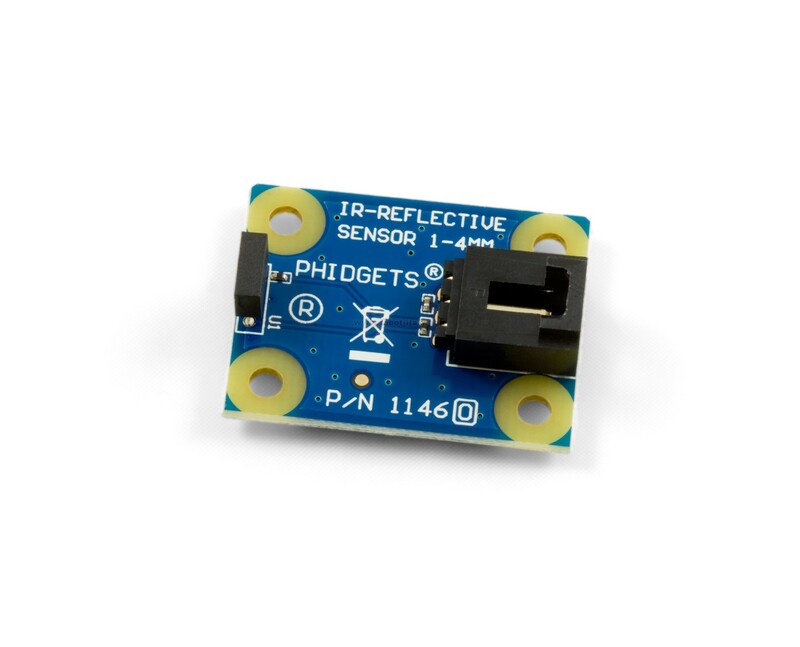 The 1146 IR Reflective Sensor uses an infra-red LED and a phototransistor to measure the distance of an object between 1mm and 4mm away. This sensor can also detect the presence of an object up to 9mm away, but it won't be able to reliably measure the distance. This sensor works best with objects with smooth, opaque surfaces. Connects to any device with an Analog Input. This sensor can detect the presence of a highly reflective object at 10cm.